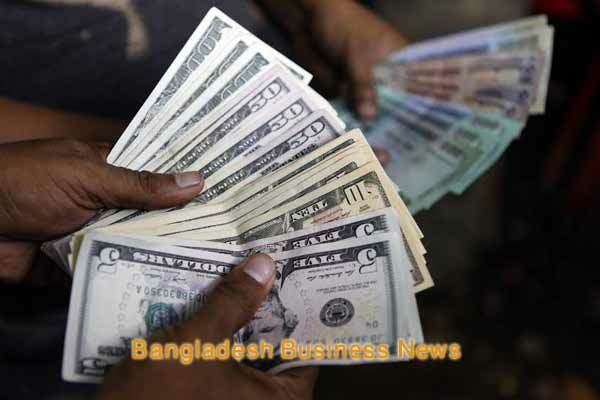 Dhaka, Bangladesh (BBN) – The nation is celebrating the 45th Victory Day in flag-waving mood on Wednesday paying rich tributes to the martyrs for their supreme sacrifice during the 1971 Liberation War. The cityscape in capital Dhaka as well as all the other urban areas has taken a festive look with special displays of banners and festoons on the streets while all the public transports as well as private vehicles are waving the national flag. Citizens all across the country have also let fly the national flag proudly from the corners of their houses and celebrating the red letter day with friends and families. The day started with a 31-gun salute in capital Dhaka at dawn. On this day in 1971, Pakistani occupation forces surrendered after nine-month-long battle that ensued after the proclamation of independence of Bangladesh by Bangabandhu Sheikh Mujibur Rahman on March 26. General AAK Niazi, who had commanded the Pakistani occupation forces, surrendered to the allied forces of Bangladeshi freedom fighters and Indian forces at Suhrawardy Udyan in Dhaka on December 16 with 93,000 soldiers following a miserable defeat in the war that broke out in March 1971. President Abdul Hamid and Prime Minister Sheikh Hasina paid rich tributes to the martyrs of the Liberation War by placing wreaths at the National Memorial in Savar in the morning. 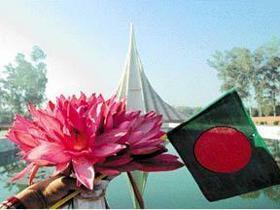 Later, Sheikh Hasina laid another wreath at the National Memorial as Awami League president. The Speaker of the Jatiya Sangsad, the Chief Justice, ministers, the leader of the opposition, the chiefs of the three services, members of parliament, freedom fighters, diplomats and high civil and military officials were present. Later, BNP Chairperson Khaleda Zia accompanied her party men and placed her respect to the martyrs of Liberation War at National Mausoleum. The Prime Minister also paid rich tributes to Father of the Nation Bangabandhu Sheikh Mujibur Rahman on the occasion. She paid the homage by placing a floral wreath at the portrait of the Father of the Nation in front of Bangabandhu Memorial Museum at Dhanmondi in the morning. As part of the day’s programme, a colourful parade is being held at the National Parade Square at Sher-e-Bangla Nagar in the morning. Freedom fighters, army, navy, air force, BNCC, police, Ansar, Coast Guard, and Fire Service have taken part in the parade. Different political and cultural organisations have chalked out elaborate programme to the mark the Victory Day. Skaters, wearing headbands resembling the national flag, also brought out a rally across the city streets on the occasion.